I would like to book a test drive for vehicle Land Rover Range Rover Sport V8 AUTOBIOGRAPHY SPORT SOLD SOLD SOLD!!! 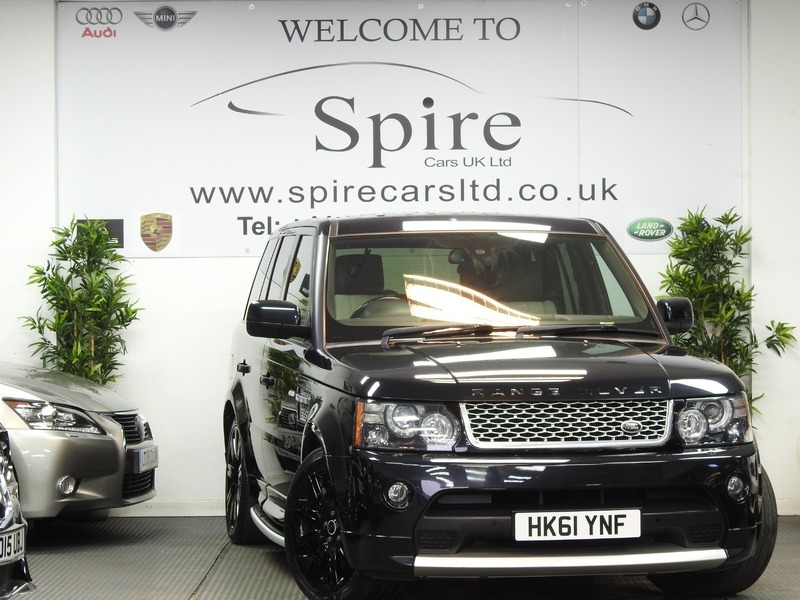 I would like to enquire about the vehicle Land Rover Range Rover Sport V8 AUTOBIOGRAPHY SPORT SOLD SOLD SOLD!!! 5 Doors, Automatic, Petrol, 1 Owner From New, Full Service History, MOT 09/2019, HPI Clear, Finance Available, 6 Months Warranty, 12 Months FREE AA Breakdown Cover., Upgrades - DVD (Twin Screen Rear Entertainment System), Standard Features - 20in Polished Autobiography Wheel - Style 10, 5in TFT Driver Information Centre, Adaptive Cruise Control with Forward Alert, Audio System - DAB Radio, Bluetooth Telephone Connectivity, Climate Control - Automatic with Air Filtration, Timed Climate - 7 Days with Remote, Digital Audio Protocol (DAP) for Voice Recognition, Phone and Audio, Duo-Tone Premium Leather with Perforations, Electric Driver and Passenger Adjustment Including Squab Recline, Cushion, Cushion Height and Tilt ( 8/8 Way), Memory Function with 3 Settings for Drivers Seat, Four Electric Windows with one Touch Drivers and Passengers Opening, Front and Rear Parking Aid, Hard Disc Navigation, Text to Speech Engine - Lane and Road Name Guidance, Harmon/Kardon Logic 7 Surround Audio System, Heated Front Seats, Heated Front Windscreen, Hill Descent Control (HDC) with Gradient Release Control, Metallic Paint, Perimetric/Volumetric Alarm (Includes Battery Back Up Sounder with Tilt Sensor), Rain Sensing Windscreen Wipers, in Dash CD Player, DVD Audio Formats Supported, Hard Disc Drive (HDD) Music Server, Dual Tuner in Level 3, iPod and Video Streaming by USB, Audio Streaming by Bluetooth, 2x USB Sockets in Console Stowage, Hybrid TV System. 5 seats, Black.